Attention! A recipe like this, with so few ingredients, reeeeally shines when you use good quality stuff. Ditch that pair of Louboutins you’ve been eyeing and splurge on some imported butter. It’s way worth it. Flour is key as well- King Arthur is where it’s at. I promise you won’t regret it. Cut in butter with a pastry blender until mixture resembles course crumbs with some pea-sized pieces. Add the buttermilk and stir with a fork until the dough comes together and is slightly sticky. Place dough on a well floured work surface. Coat your hands in flour and knead gently 8 to 10 times, just until the dough holds together and is no longer sticky. Gently pat dough into a 9 inch round at least 1/2 inch thick, and cut into circles with a biscuit cutter or the rim of a narrow glass. Place biscuits 2 inch apart on an un greased cookie sheet. 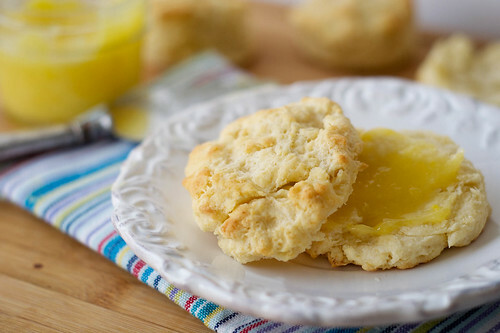 Brush tops with melted butter, and bake 10-12 minutes or until golden brown. In a heatproof bowl, whisk together all ingredients except butter. Place it over a small pot of simmering water, whisking constantly. When the mixture thickens to coat the back of a spoon, so that when you run your finger through it the finger stripe doesn’t disappear, take if off of the pot. Add the butter and whisk until it melts. Allow to cool slightly, then transfer to a clean glass jar, cover with plastic wrap, and refrigerate until serving. 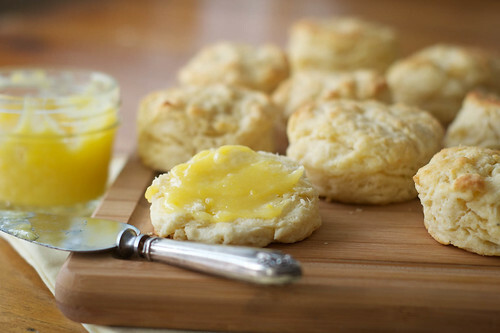 When life gives you lemons, make biscuits and curd. i almost cried when i read the Bee’s line….i should make lemon sap! I love your blog, and I can’t believe you are such a polished young cook and writer, Jordana! In my mind, you are still six years old. Le sigh. Nice and simple, this is how you make good biscuits. Great post today, thanks for sharing. These biscuits look absolutely perfect. 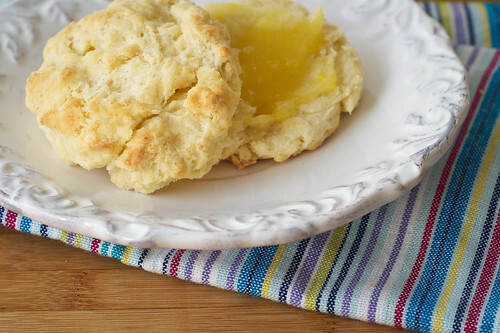 There’s nothing like a good southern buttermilk biscuit. You should make this with White Lily flour! YUM! I’ve been trying to find White Lily, but I can’t find it anywhere in my area! So so sad! thanks for the recipe! what temperature should the biscuits be baked at? Ooh I guess I forgot that didn’t I! 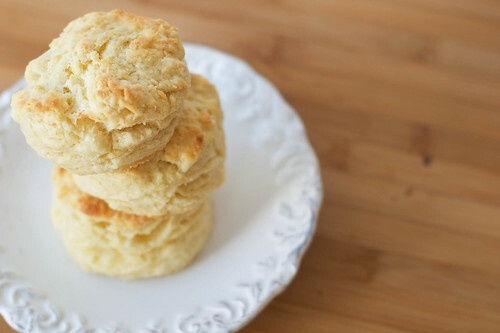 Bake these biscuits at 450! Looks great, definitely will taste great too! Making this with my niece next weekend fo’ sure. I’ve been having a terrible day. My almond lace cookies failed, my cat died, and I’m just sad. Making this made it better.